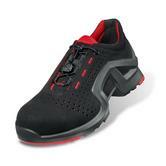 The Uvex Quatro is an attractive and waterproof modern shoe with an extra wide fit. It has a robust, water repellent treated leather and durable whilst still maintaining breathability. Designed with a soft padded collar that provides the necessary extra comfort. The newly developed and improved comfort insole, antistatic and removable is equipped with a moisture control system, which ensures an improved climate comfort. Uvex 8410 Quatro Black Water Resistant Safety Shoe conforms to: EN ISO 20345 - S3 SRC safety footwear standars. Himalayan Black Leather Lace Shoe Metal Free Cap/Midsole PU Outsole. Penetration resistance Composite midsole up to 1100 Newton, Oil Resistant, Anti-Static and Heat resistant for up to 200C. Himalayan Safety Shoes 9710 complies with European protective footwear standards EN 20345:2011 and S1P SRC rating. Dual Density PU Sole, Slip Resistance Outsole provides protection and balance, stability and more durability. 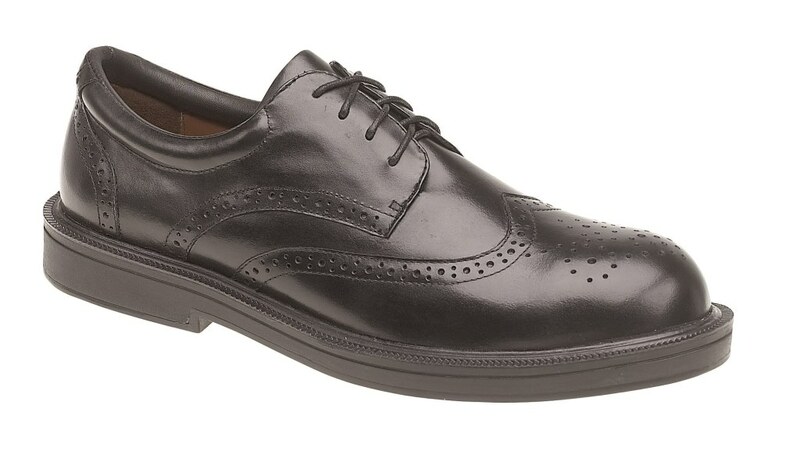 Himalayan Black Leather Brogue Shoe Metal Free Cap and Midsole, PU Outsole. Complies with European protective footwear standards EN 20345:2011 and S1P rating. Basic Safety protection tested to 200 Joules impact protection. Oil Resistant and heat resistance to 120 Degrees C.
Dual Density PU Sole and conforms to SRC standard. Outsole - Slip Resistance Outsole provides protection and balance, stability and more durability. Himalayan Black Leather Casual Shoe Metal Free Cap and Midsole, PU Outsole. Dual Density PU Sole and SRC BS EN ISO 20344:2004/A1:2007. Slip Resistance Outsole provides protection and balance, stability and more durability. Himalayan Black Leather HyGrip Safety Shoe with Metal Free Toe/Midsole Pu Outsole. Penetration resistance Composite midsole up to 1100 Newton. Himalayan Safety Shoes 5113 complies with European protective footwear standards EN 20345:2011 and S3 rating. Dual Density PU Sole and SRC Slip Resistance Outsole provides protection and balance, stability and more durability. 100% non metallic and lightweight "hiker" style shoe in a classic black colour. Composite toecap, anti-static and oil resistant out-sole makes this shoe suitable for a variety of work environments. CE certified Portwest FC66 Compositelite Trouper Shoe conforms to EN ISO 20345:2011 S1 SRC standards. Ideal for workers walking through metal detectors every day. 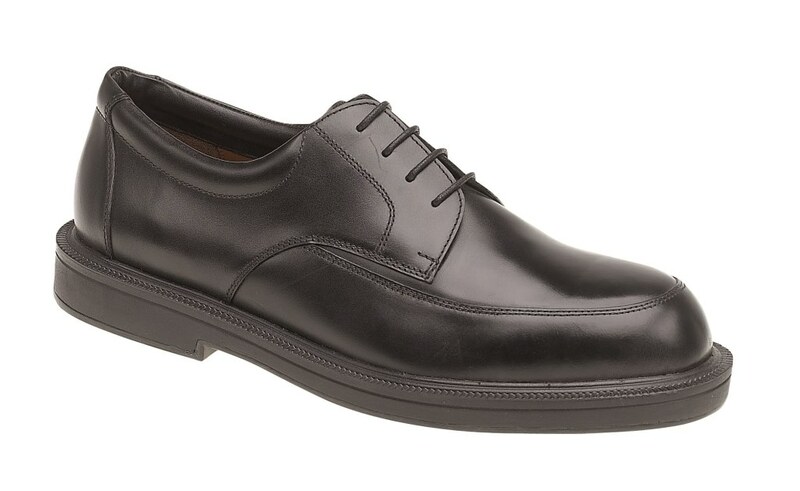 Made using Italian leather, these shoes are water repellent yet breathable. It also features a sturdy slip resistant sole, making these ideal for the service industry. The Alexander are sturdy and lightweight at the same time, the modern and linear design is perfect for corporate wear and uniforms. Suitable for metal-free work environments. 100% polyamide lining absorbs and releases moisture, it is breathable and abrasion resistant. Composite Top-Return toe cap protection tested to 200 joules impact and Penetration resistant composite midsole plate to 1,100 Newton. Removable footbed made from extremely soft PU, removable, antistatic, anatomic, covered with cloth. Cold and heat insulated. Dual Density PU/Nitrile outsole: exceptional abrasion resistance and ideal for environments where oils and solvents are used, resistant to 300°C (1 minute contact). Cofra Alexander S3 Metal Free Safety Shoe conforms to: EN20345 S3 HRO SRC. Himalayan Brown Leather HyGrip Safety Shoe with Metal Free Toe/Midsole Pu Outsole. Himalayan Safety Shoes 5118 complies with European protective footwear standards EN 20345:2011 and S3 rating. Blackrock Atlas CF01 Safety Black Leather Shoes with Composite Toe Cap and Midsole. Water Resistant and Lightweight Blackrock Protection S3 Rated safety shoes. Composite Toe Cap (200 Joules) Offers the same Protection as Steel but Lightweight and Metal Free. More protection and comfort with Double Density PU shock absorbent sole. Conforms to EN20345 S3 safety footwear standards. 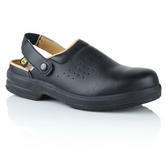 Cofra Bismarck Unisex S3 Safety Shoes are ideal for any working envoirnment. Lightweight and durable, these safety boots feature many robust safety attributes. Made from top quality materilas these boots offer excellent value for money and value. SANY-DRY® breathable lining is antibacterial, absorbs and releases moisture, abrasion resistant. Composite TOP RETURN toe cap protection tested to 200 joules impact. Penetration resistant APT composite midsole plate tested to 1,100 Newton. AIR footbed, made of EVA and fabric, anatomic, removable. 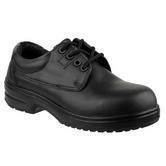 Cofra Bismarck Unisex S3 Non-Metallic Safety Shoe conforms to: EN20345 S3 SRC safety. Himalayan 910 Black Leather Formal Safety Shoe with Dual Density Sole & Midsole, Steel Toe Cap and Steel Midsole complies with European protective footwear standards EN 20345:2011 and S1P rating. Ergonomically designed and flexible, made using High Quality Full-grain Leather. Up to 200C heat resistant Dual Density Sole and SRA - Slip Resistance Outsole provides protection and balance, stability and more durability. 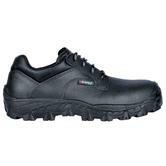 Himalayan Black Leather Formal Safety Shoe conforms to: EN 20345:2011 S1P SRA standards. Himalayan Safety Boot 5106 complies with European protective footwear standards EN 20345:2011 and S3 rating. Himalayan Black Leather Hi Grip 4 Eyelet Shoe with PU Rubber Outsole. Penetration resistance Steel midsole up to 1100 Newton. PU/Rubber Sole and SRC Slip Resistance Outsole provides protection and balance, stability and more durability. The Centek FS133 is a Wide-Fit option for a smart official look, with the wider fit giving comfort to the fore foot. It has steel toe cap and mid-sole protection and a water resistant upper. It has antistatic properties and the rubber/polyurethane sole is lightweight and shock absorbing providing comfortable footwear. We know safety shoes! (We spent our first 60 years making safety shoes!). Our selection of safety shoes (120 styles) gives you great choice. All the safety shoes here are certified to EN ISO 20345, giving 200 Joules protection to your toes; S3 shoes also give your feet water resistance and midsole protection. 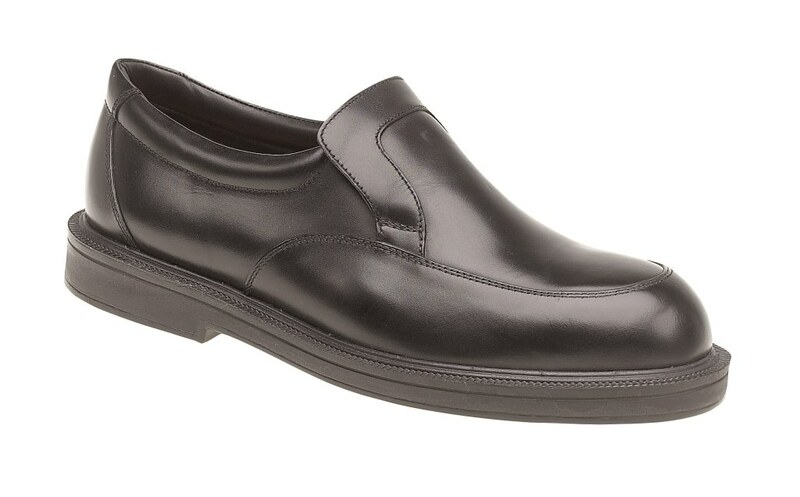 Executive safety shoes: these mens executive safety shoes are suitable for officewear with frequent site visits, such as the Classic Cofra Bell wing tip executive safety shoe. ESD shoes: suitable for cleanrooms, electrical installations and other areas where a surge in static can damage property and people. Cheap Safety shoes by Amblers and BlackRock are really well priced. Lightweight safety shoes by Cofra. Their shoes fit well and are lightweight. V12 shoes are wonderfully comfortable. Chunky, rugged safety shoes:: We despatch same day: Caterpillar safety shoes, Dr Marten's safety shoes; Timberland safety shoes are chunkier, more rugged premium safety shoes. Slip resistant Shoes The Shoes for Crews safety shoes are unique in terms of their patented rubber and tread pattern, for best slip resistance of any safety shoes.